Are you getting the most out of your dental appointments? If you’re not sure, then today’s blog is for you! If you thought healthy teeth and gums were achieved by brushing your teeth alone, we hope to deepen your understanding of what it takes to have a safe, healthy, beautiful smile! Our team at Times Square Dental wants to make sure you’re taking advantage of our preventive services so your smile gets healthy and stays that way. When it comes to your health, prevention is key. It doesn’t make sense, for example, to wait until you’re overweight to start thinking about proper diet and exercise. The truth is, though, many times those extra pounds can really sneak up on you. The same is true when it comes to your oral health. Many dental problems don’t bring with them all kinds of obvious symptoms. Some issues like tooth decay, cavities, and gum disease can quietly wreak havoc in your mouth without you noticing until it’s too late. That’s why it’s so important to take a proactive approach to try and prevent problems before they start. Dr. Hastings and Dr. Dial are happy to help you with that! Beyond that, you can even talk to one of our trained professionals about proper nutrition, ways to treat persistent bad breath, or even about getting a custom-fitted mouthguard to protect the teeth and gums of the athletes in your family. Losing weight can be quite a challenge, so a healthy lifestyle can keep the numbers on your scale in check. The same holds true for your oral health. Don’t make things harder on yourself by letting dental problems sneak up on you. Stay on top it with our preventive dentistry! Let’s stick with the weight analogy. When you change your lifestyle in order to get in better shape and improve your overall health, it’s amazing what it can do, not only to your appearance, but to your self-esteem. You can apply that same principle to your smile. Do the flaws in your smile keep you on the sidelines, away from social gatherings, away from those job interviews, or out of the dating scene? With cosmetic dentistry, you can get off the sidelines of life and start enjoying your life to its full potential. An attractive smile can give you the confidence and courage to go after what you want, personally, professionally, and romantically. Our talented dentists, Dr. Hastings and Dr. Dial, are highly-trained in giving you the smile of your dreams in a variety of ways. Some of them are far simpler than you might think! -Brighten your smile with teeth whitening treatment! -Get a more balanced smile with gum reshaping! -Cover small gaps, cracks, or chips in your smile with tooth bonding! -Look like a celebrity with radiant dental veneers! -Give your smile a complete transformation with a smile makeover! If you want to feel more confident, talk to one of our dentists about which of our cosmetic treatments will give you the gorgeous smile that will get you there! Again, think about what it takes to stay in great shape. If you’re trying to shed pounds, or even just maintain your current weight, you know that moderation is a key factor. You overindulged last night at your best friend’s birthday dinner party, so today, you’re really careful about calories. That’s going to keep you at a healthy weight more than overeating for several days in a row, right? It’s the same idea with your teeth and gums. 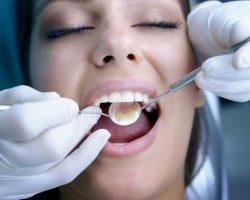 If your next dental checkup reveals the early stages of gum disease, then you get it treated right away, and then you commit to being more diligent with daily flossing. Letting a toothache go and hoping it’ll just go away won’t help anything. Quite the opposite, in fact! We can help you nip dental problems in the bud now so you don’t have bigger health issues on your hands later. Times Square Dental is dedicated to helping you get a healthy, beautiful smile. But in order to do that, we have to come in and see us! Call our Boise dental office today at 208-278-1069 or fill out our convenient online form to schedule an appointment.